Pet Hotels Know How to Pamper Your Pet! Pet hotels are the coolest! Never visited one before? Watch this video about one of America’s pet hotels, then read the top three reasons to see why you should; it may be the best thing you ever do for your pet! Pet Hotels are a fantastic way to make sure you beloved animal is looked after while you travel. If you’ve never used one before – or maybe never even heard of such a thing – here are some reasons to check out your local area for a facility near you. You can find them in our Travel Guide pages, for example, check out the Seattle Travel Guide. It may change the way you feel about leaving your pet every time you travel. Leaving your animals behind a couple times a year can be stressful unless you know they are enjoying themselves as much as you are. In the past few years, pet hotels has taken on a second meaning. First, it is referred to as a hotel that takes pets. Second, hotels made exclusively for pets are popping up everywhere and they can be every bit as decadent as a five-star hotel for humans. Pet hotels are becoming popular because people got tired of leaving their favorite furry friend at a place that seems unfriendly. Whereas in days gone by, kennels meant your pet would stay locked up in a cage with the exception of them being let out for a walk once in a while. Now, most kennels and in particular, pet hotels, offer so much more. At a pet hotel designed specifically for pets, you most probably will find pet perks you never dreamed about. What about a massage, just because. Well consider this, many pet hotels like the Barkley as shown in the video are becoming so popular, they are making headline news. 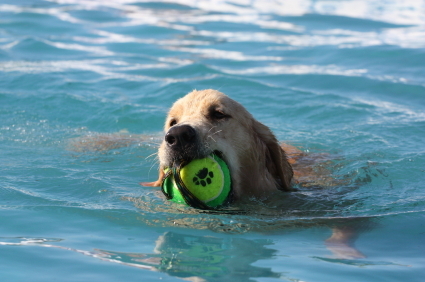 Let’s take a look at some of the amenities your pet may enjoy while you are away. First, your pet may enjoy his own private suite that ranges from a single story luxury suite to a multi-level extra luxurious suite complete with chandeliers and brass headboards attached to a real bed. But the bed won’t be just a cushion on the floor with a cute logo. Your dog or cat may actually rest his head on a Orthopedic mattress. Typically at a pet hotel, the animals are housed separately – however, if you have two animals, they may be allowed to bunk together – along with their favorite sleeply toys. Every considered your pet may be read a bedtime story before retiring for the evening? Bet you won’t even get that at the hotel you are staying at. Time for a manicure and pedicure? No problem. In-house grooming services are always available. To make sure your pet gets his daily amount of exercise your pet will enjoy a fenced in run or better yet, an indoor pool for swimming with a manmade current so they can practice their innate skills of retrieveing, Or, some pet hotels even offer a full exercise gym with a trainer. Check out Glendale Pet Resorts. No wonder this is where so many celebrities choose to leave their pets. Especially with a world-renouned trainer like Epi Gumatay making sure their waistline stays trim and slim. Some pet hotels even organize excursions to take dogs to the beach or dog park, just for a little variety. Others put on the TV, play music–all in the name of creating a peaceful, comforting environment. Just like a hotel you would stay in, the pet hotel caters to its clientele, even though it has fur. Don’t be afraid to ask questions and see if the pet hotel can tailor its services to your pet’s needs. If you plan to be away for more than a few days, see if you can negotiate a discount or get some pet perks for free, such as grooming or a manicure or pedicure. This extras are often menu style and have added costs. If you think the pet hotel is a little over the top for your taste, remember, there are many kennels that are also great places that will love and care for your pet. Remember, your pet probably doesn’t know a massage from a good tummy rub by a friendly kennel staff member. Either way, enjoy your vacation knowing your pet is well cared for.